What is life without people in it? People matter to us. That is why it is our goal to be a presence in every community of our city. We scatter throughout the week, partnering with neighbors, community organizations, and each other to serve. 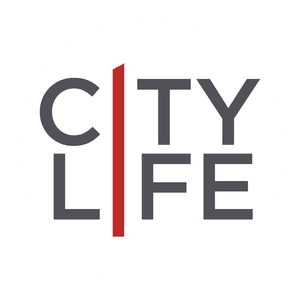 Our missional communities are the lifeblood of CityLife. Anyone and everyone is invited to participate. You don’t have to believe to belong. Everyone belongs in our community. Like we said, people matter to us. We currently have three missional communities centered around two areas of our city, Downtown Jersey City and Jersey City Heights, and a "North Jersey" missional community that meets in Totowa, NJ for those who commute. A missional community is a group of 15-30 people committed to each other and their neighborhood. Like any family, our missional communities consist of both organized and organic events, like open tables, discipleship groups, service events, hangouts, parties, and specials events. The Downtown Jersey City missional community meets every Thursday at 7:30 pm. The Jersey City Heights missional community meets every other Saturday at 10:30 am. We also have a "North Jersey" missional community for those who commute to the church meeting Thursdays at 7:30 pm in Totowa, NJ. You can let us know that you're interested by filling out this form and a missional community leader will get in touch with you.